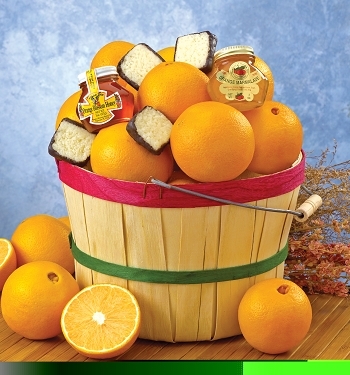 Full of wonderful citrus varieties, our Grove Basket is filled with the best fruit Florida has to offer; world renowned Sweet Florida Oranges and Ruby Red Grapefruit, topped with a few tangerines for variety. Deluxe adds Orange Blossom Honey, two jars of Tropical Marmalade and Rich Creamy Coconut Patties. A gift introduced by our Grandfather, Harry L. Spyke, we've shipped countless of these over the last 7 decades! 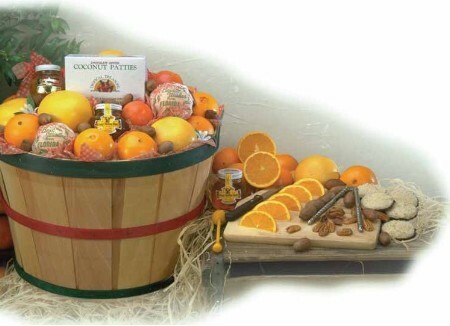 Full of wonderful citrus varieties, our Grove Basket is filled with the best fruit Florida has to offer; world renowned Sweet Florida Oranges and Ruby Red Grapefruit, topped with a few tangerines for variety.